On Sunday after we docked in Fort Edward, several members of the crew (Erick, Molly, Jeff and I) chose to go for a stroll to visit an abandoned lock from the old Champlain Canal. The lock was really cool, with a river flowing down the middle. A fully intact tow path sat on one side. After a bit of exploring, we headed down the towpath to see how far we could follow the old canal. The path continued down Canal Street, where we encountered much evidence that the street had once been a canal. There were many large buildings and homes built at the time of the canal. We also came across a great graveyard that contained graves primarily from the 1800s (the earliest was from 1800!). The old canal continued over train tracks. There we found two more old locks. They were slightly crumbling, but still in pretty good shape. Because we were still convinced there was more to discover, we continued following the feeder canal. Soon, we figured out that this stretched further than we were willing to walk. The path, however, was alive with wildlife. Among what we saw was a heron, several rabbits, frogs and a muskrat. It was a really cool experience. 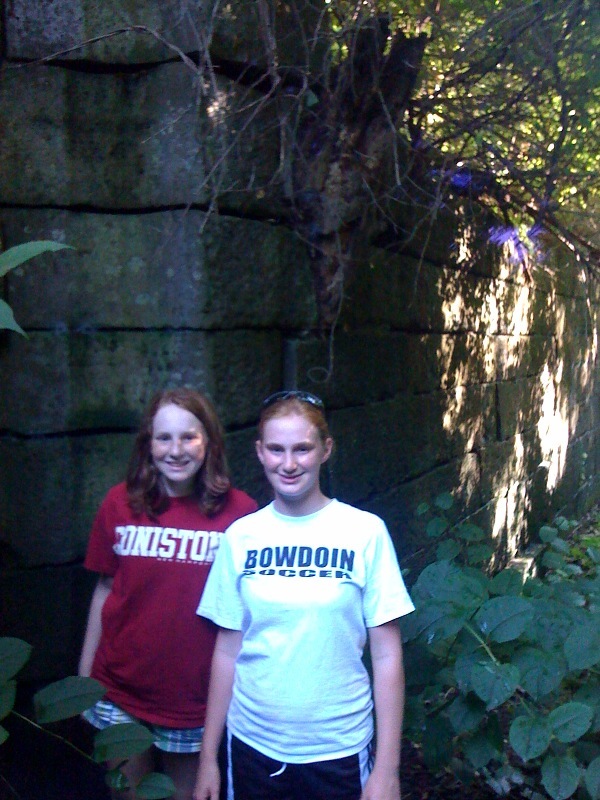 Emily Tichonuk is a 8th grade student at Vergennes Union High School. As the daughter of Erick Tichonuk, she has been around the museum many years and has spent quite a lot of time aboard the Lois.